Yesterday great news reached Glenglassaugh fans. 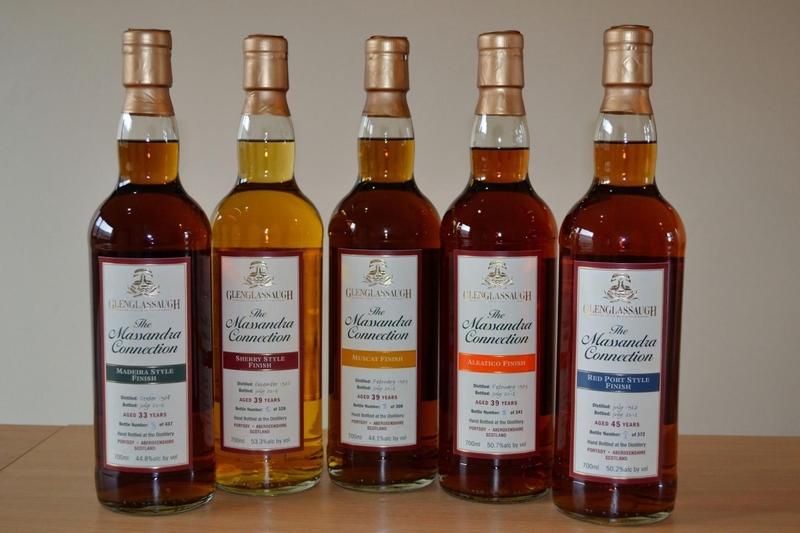 There is going to be a brandnew series of five really old casks released (33-45 years old) which were finished in ex-wine casks from the world renowned winery Massandra (sweet wines). Stuart Nickerson and his team have already proven that they have a good hand for finishing old whisky with the previous releases like the Sauternes or Sherry versions from the 1970ies. 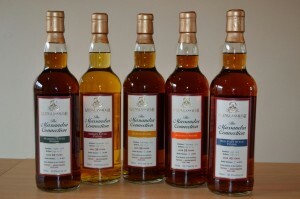 In these drams the finish was well-integrated, not like a mask or a second character standing aside. I am very curious how these five new Glassas turn out. Comment: What a fruit basket, mostly on passion fruit, pineapple, plum and huge apricot jam notes, slightly cristalline and very clean. The complexity is amazing. We also found vanilla, natural caramel, elderflower, violets, lilacs, grass, herbs, candyfloss, honey, a hint of licorice and the smell of rising pretzel and dark bread dough in the oven. On the palate it turns more herbal and posesses way more bite than expected (a peppery influence) without ever losing the big dextrose fruitiness. The finish reveals frothed milk, malt, oatmeal, Vermouth and soft echoes of the passion fruit and apricot. The oak is always very discrete. Who wouldn’t ask for a second sip of this nectar? To put it in a nutshell, this is another stunning single cask from Portsoy in a style of days gone by – and slightly different from the others I had so far. If you want to compare, click here and here and here. P.S. 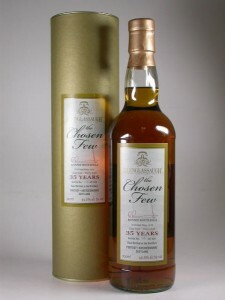 : A friend of mine was so kind to provide me with an unreleased sip af a 1967 Glassa from a sherry cask. It blew me away, 92 points. The only downside to this dram was that is turned a bit dry but aside from that it was merely perfect on dark and even some brighter cristalline and cooked fruits (many maraschino cherries), coffee and chocolate, broodingly powerful. Forgive me that I am predictable here, but these profiles of secondary and tertiary aromas with high complexity and clean character are right down my alley. 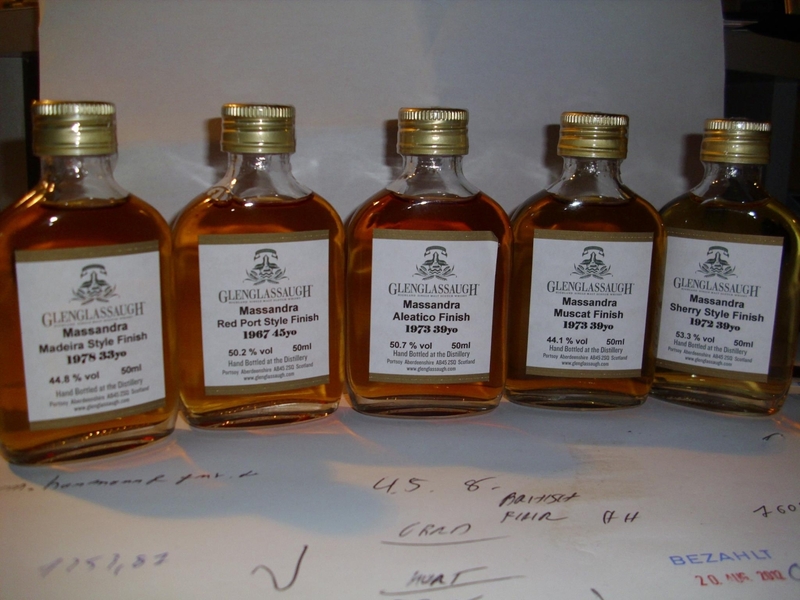 Kudos, Glenglassaugh!